PA 547 is the Industrial Hemp Research Act, allowing industrial hemp research. PA 548 puts the definition of “industrial hemp” in the Public Health Code and excludes it from the definition of marihuana. 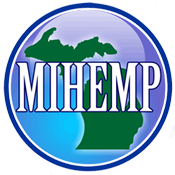 PA 547 allows the Michigan Department of Agriculture and Rural Development (MDARD) or a college or university in Michigan to grow and/or cultivate industrial hemp for agricultural or academic research purposes. A college or university could receive direct grants from the federal government or any other source for such research. If a college or university transports hemp as authorized under the bill, then it would be required to include a letter on department, college, or university letterhead that provides notice of the presence of industrial hemp as authorized by this law. “Industrial hemp” is defined as the plant Cannabis sativa L. and any part of the plant, whether growing or not, with a delta-9-tetrahydrocannabinol concentration of not more than 0.3 percent on a dry weight basis. The law creates “the Industrial Hemp Research Fund,” which will be administered by MDARD. The state treasurer is directed to place any money or other assets from any source into the fund, including federal research grants. Any monies left in the fund at the end of each fiscal year will remain in the fund rather than lapsing into the General Fund. Monies from the research fund can only be used for MDARD for research into growing and/or cultivating industrial hemp and for providing grants to colleges or universities in Michigan to conduct research into growing and/or cultivating industrial hemp. ← What are HB 5439 and HB 5440?